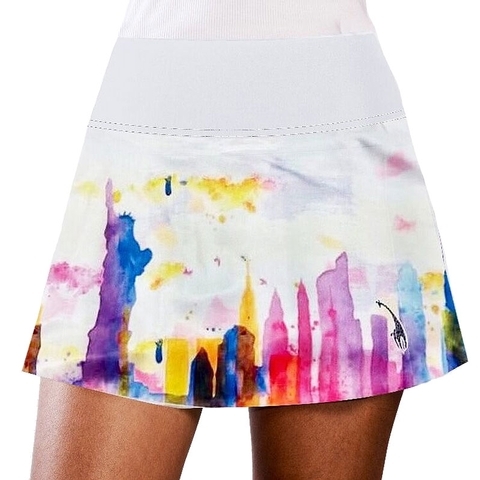 Let New York's unique and bold style reflect on this skirt with the waterbased painting city backdrop. The Lacoasport New York Women's Tennis Skirt features sweat wicking fabrics and built in shorts to keep you focused on your game rather than on your discomfort. It's soft feel, wide waistband, and A-line style cut adapts to all figures. Be as indistinguishable as the New York City skyline with this skirt!